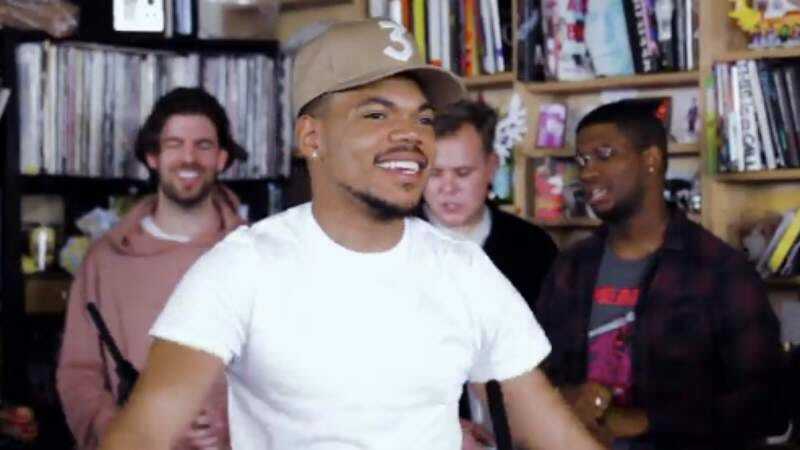 Chance The Rapper is good at many things. One only needs to listen to his trio of mixtapes, which swing easily from soul to R&B to rap, often within the same song, for evidence; he is the rare talent that sounds as comfortable alongside jazz trumpeters as he does 2 Chainz. He’s also a prolific humanitarian and, let’s be honest, an inevitable senator or something, because pretty much everyone loves him. Last month, he stopped by NPR to perform a Tiny Desk concert and, in the process, exhibit a handful of those skills, and today the full video was finally released. He is good at lots of things in it! As befits an intimate space, he played the sweet, slow Coloring Book track “Juke Jam” before reciting a poem he wrote on the way to the performance, all before finishing things off with a Stevie Wonder cover. The only question as vexing as how Chance is so good at so many things is how NPR wrings such clear audio from a space clearly not designed for concert-style performances. Maybe it’s those fancy mics they use that make everyone’s voice sound so calming?